GOOGLE GLASS: PRIVATE INVESTIGATOR’S NEW GADGET? We have seen in futuristic movies and action films such as Star trek, Iron Man, I, Robot, Minority Report, and Mission Impossible the use of advanced holographic interfaces and lens displays. The technology shown in these movies is slowly becoming reality with the arrival of the Google Glass. Developed by a team from Google X Labs, the Google Glass is in testing mode, available to eager testers for a hefty price of $1,500. This model is called the explorer edition and 2,000 units have been pre-ordered at the Google I/O conference. A consumer model is said to come out soon after the explorer edition rolls out. So what can we do with this new futuristic device? What can a private investigator do with it? For one it looks like your ordinary pair of glasses and you can blend in with the crowd while doing video surveillance with the Google Glass. However it has that plastic colored thing on the side of the right eye which hoses all the cool technology behind the Google glass. It is compact and looks like your ubiquitous pair of bifocals with the weird plastic thing attached to it. Somebody who knows what a Google glass is and what it looks like will be able to tell what it is. The Google glass has the capability to shoot 720p High Definition Videos with its 15 megapixel camera. The video is stored unto a usable space of 12 gigabytes of storage. 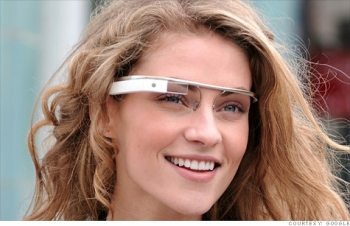 The Google glass has wifi and Bluetooth connectivity, has a battery life of approximately 24 hours but using power intensive applications such as Google hangouts will drain the battery more. The Google Glass comes with its own charger (don’t lose it and use it wisely because a replacement charger will be expensive). Audio is transmitted to the user with a new technology called Bone Conduction Transducer that will transmit sound waves from Google Glass to the bones of the inner ear through the bones of the wearer’s school. How it works is not known but that’s one cool piece of technology. The Google glass fits any size with its adjustable frame and nose pads. You can use many current Google applications such as hangouts, Google Maps, Gmail, Google Now, and Third Party applications have been announced for the Google Glass. 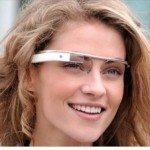 Google Glass is voice activated and someday you might have someone next to you that says “Ok Glass, give me directions to the nearest hotel.” The technology behind Google Glass will continue to be developed and for sure this is the next big thing after the arrival of smartphones and tablets. This is the next level up for wired humanity and of course this is an upgrade to the private investigator’s arsenal of possible investigative tools.